Romanian Easter Bread or Easter Cake, which is translated Pasca, is a traditional dessert eaten on Easter Day. 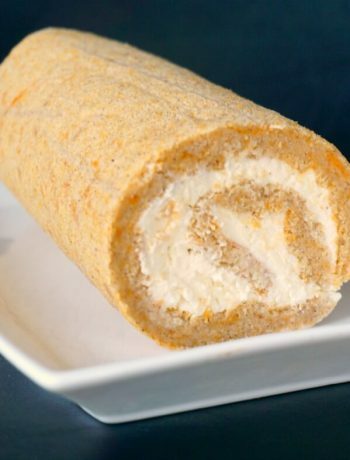 It’s usually made with cow’s cheese filling and sultanas or raisins, and it’s absolutely delicious. There are many variations recipes for Pasca across the country, with different regions having their own traditional Easter Sweet Bread. 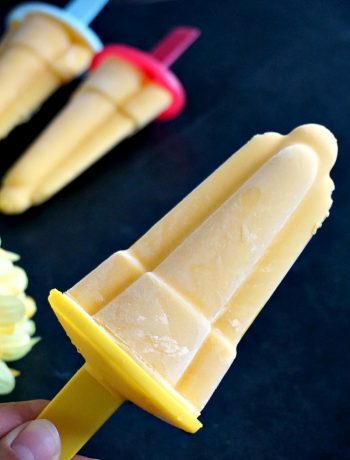 This recipe, however, is really easy to make and very tasty. Made with cow’s cheese or cottage cheese and raisins, flavoured with vanilla extract, and topped with a red-painted egg, this sweet bread is true delish. 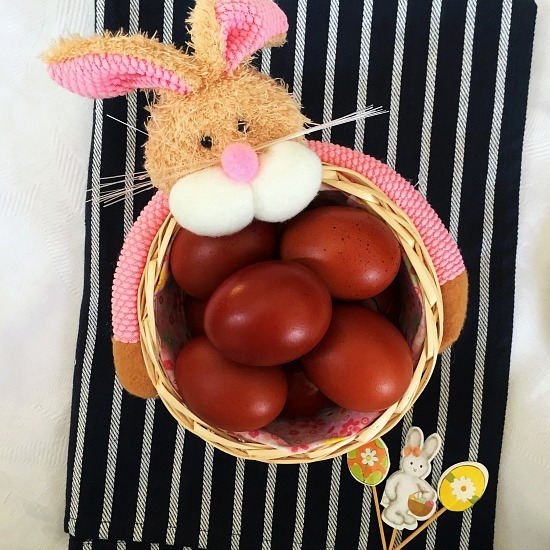 Like Christmas, Easter is one of the most important religious celebrations in Romania, a time when families gather together and share the most mouth-watering dishes. The preparations for Easter start well ahead of the big holiday and everybody in the family, to a certain extent, gets involved. No house in the country will be without these on the table: Naturally-Dyed Easter Eggs, Meatloaf, Russian Salad or salata de boeuf. These dishes have always been part of our tradition and one cannot imagine Easter without them. 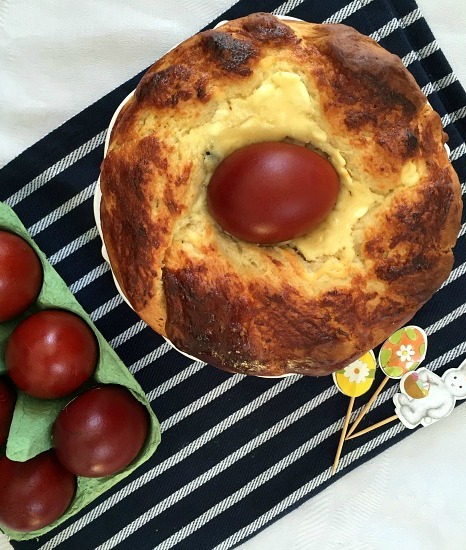 The Romanian Easter bread is one of its kind. Shall we call it a cheesecake? Why not, after all it’s a dessert made with cheese, even if it looks nothing like the cheesecake we are used to. Plus, this one has to be baked in the oven. My very first attempt to make Pasca was quite successful. I love how a recipe that sounded complicated turned out to be easy peasy. I so enjoyed baking it! Don’t be put off by the amount of ingredients needed, making this sweet bread is a piece of cake. If it’s still active, in about 10 minutes it should become all foamy. If not, start again using a different yeast. If the yeast is no longer active, the dough will not rise, and the cake will be too dense, rather than spongy. once all the ingredients are incorporated and the dough is ready, leave it to proof for at least 1-2 hours. It helps if the room is warm, the dough will double its volume quicker. to make the filling, all we need to do is mix all the ingredients together. Simple! And you know what goes so well with this cake? A nice glass of red wine. It’s the preferred drink at Easter. Or, why not, a nice glass of lemonade. No matter what drink you go for, I am sure you’ll enjoy the Easter Cake. Do give it a try! 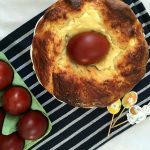 If you’ve liked the ROMANIAN EASTER BREAD or any other recipe on the blog then don’t forget to rate the recipe and let me know how you got on in the comments below, I love hearing from you! You can also FOLLOW ME on FACEBOOK, and PINTEREST to see more delicious food and what I’m getting up to. 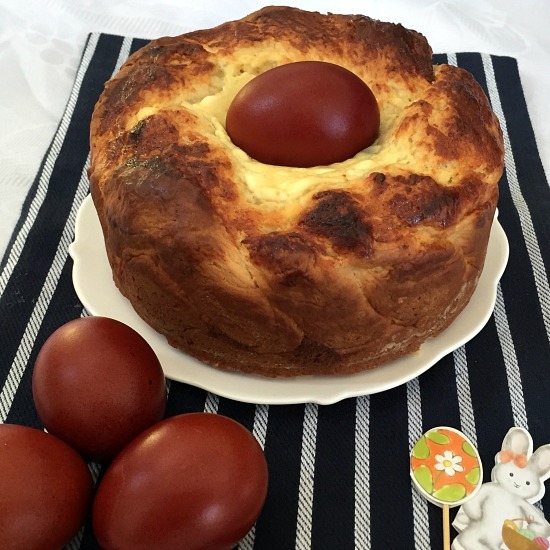 Romanian Easter Bread or Pasca with cottage cheese and raisins, a traditional Easter dessert. In a jug, warm up the milk in the microwave for about 10 seconds, it should not be hot to touch. Add the yeast, 1 tablespoon of sugar and one tablespoon of flour and set aside for 10 minutes, it will become foamy. 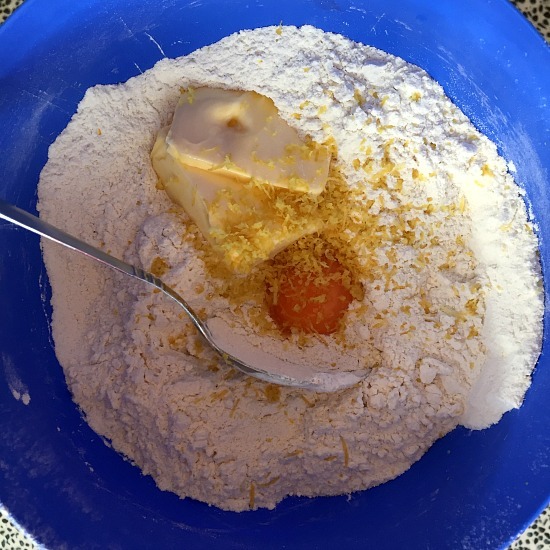 In a large bowl, sift the flour and add the remaining sugar, egg yolk, lemon zest, salt and butter, which should be at room temperature. Mix in the milk once the 10 minutes are gone. Knead everything into a dough for at least 5 minutes, the dough will become elastic and non sticky. Cover the bowl with a clean tea towel and leave in a warm place to prove for at least 2 hours. Oil and flour a round cake tin of approximately 10 cm. Flatten one ball out and place on the bottom of the cake tin. The second ball will be divided into 2 again and shape 2 strings out of it. Knead them together and place around the cake tin edges, so that the dough can have the shape of a well. The centre will be filled with a mixture of cottage cheese, egg, raisins, vanilla sugar, caster sugar, flour and lemon extract. Bake in the preheated oven set to 180 degrees C (375 Fahrenheit) for at least 40 minutes or until golden brown and set. What a fun way for Easter cake! Thank you, Chris! Nothing better than the traditional way ?